No, the secret sauce isn’t ketchup. Or is it? In Texas, there’s a professional football team that could fill an infirmary ward restaurant called Raising Cane’s Chicken Fingers. A local FOX affiliate reports here that a recently-fired employee promptly raised Cain (see what I did there?) 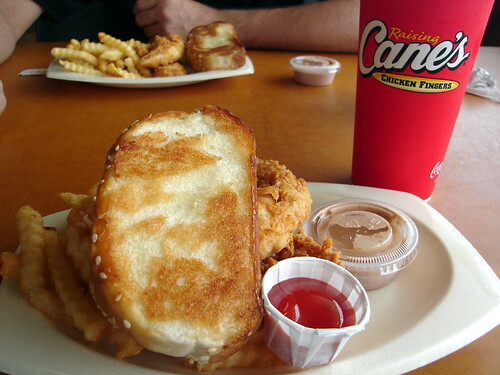 by taking to Twitter and sharing the recipe for Raising Cane’s famous sauce recipe. According to the FOX report, social media did its thing and the tweet went viral, with thousands of retweets. So much for the secret sauce. [By the way, if you want the secret sauce recipe for The Employer Handbook, it’s equal parts nerd and Drakkar]. In a dose of damage control following the leak of the recipe, Raising Cane’s responded, “Nah uh.” “Did you know that only our Restaurant General Managers are told the secrets of our Cane’s Sauce? Now you know!” Another article (this one) indicates that what the former employee shared is not the secret sauce. How do you stop a former employee for sharing your trade secrets on social media? Protect your trade secrets. Make sure that you are taking prophylactic measures to make sure that information that is supposed to be confidential remains that way. A handbook provision is good. Training is good. A non-disclosure agreement is good. Label trade secrets and confidential information. That way employees don’t have to guess. Remind your employees not to share trade secrets and other confidential information. Yeah, I know. That seems kinda, “duh.” But, you’d be surprised the number of companies that take this for granted. Have a plan for offboarding. Require that all confidential information (and copies) be returned. Remind soon-to-be former employees that they cannot share confidential information. Make them sign a document reaffirming their obligation to not to share. Obviously, there’s no 100% solution. But, these steps will help.